Why Do People Live in Abington Ridge? Abington Ridge is located just east of Interstate 65 off Murfreesboro Road in Franklin TN. Residents like the easy access to I65. This is especially appealing to people who commute to Nashville for work. Abington Ridge feels like it is in the country but just minutes to historic downtown Franklin and the Cool Springs retail district. What is the Abington Ridge Neighborhood Like? There are approximately 120 homes in Abington Ridge ranging in size from 2,900 to 5,500 square feet. The majority of the homes were built by Drees Homes between 2005 to 2010 and include features such as granite countertops, maple cabinets, hardwood floors and some include screened in decks. Many homes have a three-car garage and walk-in storage making them especially appealing to those looking for storage solutions. The biggest draw is that many homes back-up to common area and have no homes behind them. What Type of Activities are Offered Near Abington Ridge? Abington Ridge homes for sale are close to shopping and dining choices. Historic, downtown Franklin has a wide variety of eateries including Puckett's Grocery, 55 South, Franklin Mercantile and, our personal favorite, Merridees Breadbasket. For those who like to shop often Cool Springs Galleria is just a short drive, as well. What Schools Will Abington Ridge Students Attend? Abington Ridge homes for sale in Franklin TN is served by the highly-ranked Williamson County Schools. Abington Ridge homes are currently zoned for Trinity Elementary, Page Middle and Page High School. Abington Ridge absorption rate: .5 months of inventory (a normal or steady market would be 5-7 months; anything under 5 months of inventory is considered a seller's market, above 7 months is considered a buyer's market). 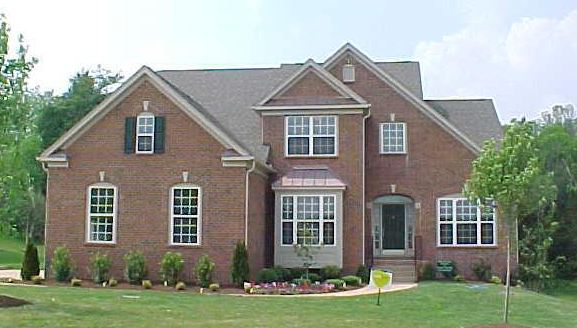 There is currently one homes for sale in Abington Ridge in Franklin TN which is already under contract. That means there is absolutely ZERO inventory. With homes selling on average of 34 days and sales prices close to 100%, it may be time to sell your Abington Ridge home. If you would like to receive a FREE Competitive Market Analysis, contact me today. Let Me Help You Find Your Abington Ridge Home! Click the link to find a complete list of Abington Ridge homes for sale in Franklin TN. If you are a buyer, it is important to have the assistance of a Buyer's Agent to represent you during the transaction. If you need additional assistance or would like to schedule a showing, contact Tammie White at (615) 495-0752.